Signco Kansas City has the best Economy Retractable Banners on the market. At a reasonable cost, they are perfect for in-store displays, seasonal promotions, office informational signs, trade shows, and special events. 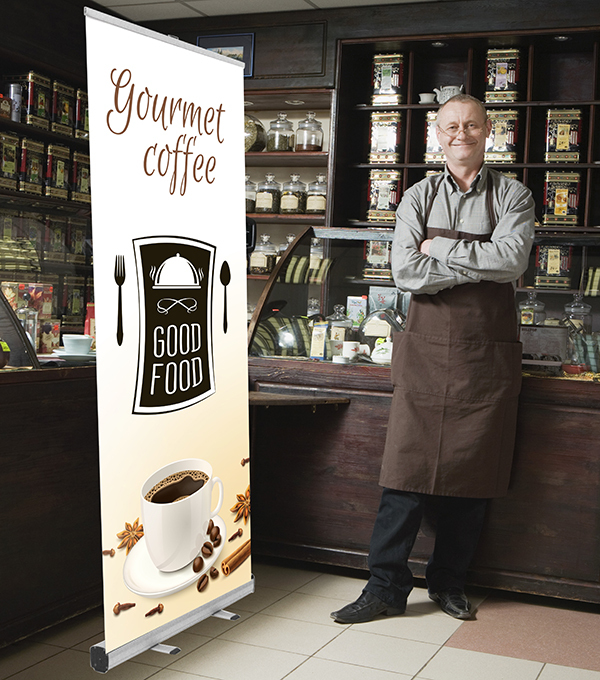 The Solo 920 retractable banner stand is the economical option for a quality banner display. Simple, yet elegant in design, it includes design features and is a reliable choice for any budget. The Dragon Fly is a double-sided roller banner stand with sturdy base and bungee pole. This banner stand is very compact.